A place to take a vacation in your own home. The LaHoya collection contains down blend with welted, bordered, two over two, T-seat cushion design and accent pillows. Lower profiled, welted, rolled arms showcase the waterfall skirt that drapes to the floor. Basic but award winning style. 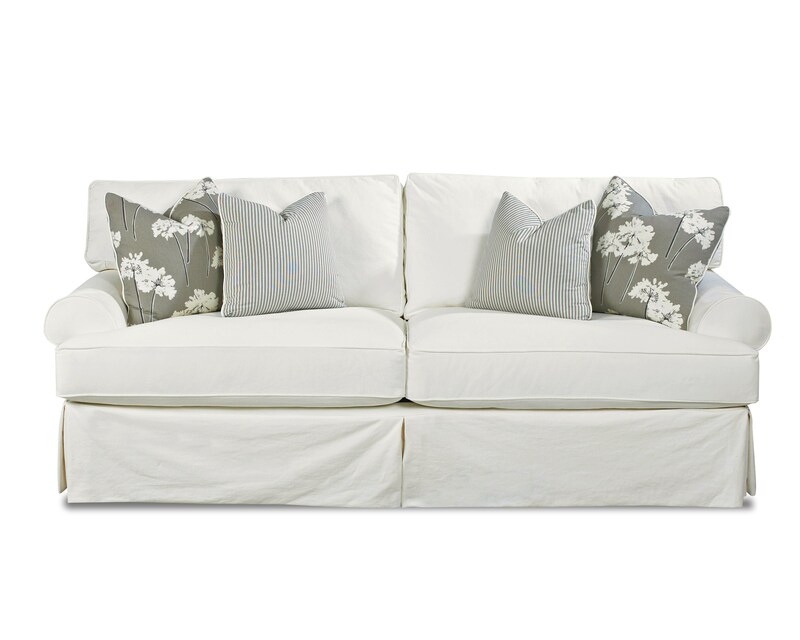 This "special order" slip cover sofa sleeper is available in multiple colors and fabric options. Pricing varies based on fabric group.